Get Ready For The 2010 Holiday Season! With 60 different Banquet Cabinets from which to choose, FWE has exactly what you need for those holiday feasts! 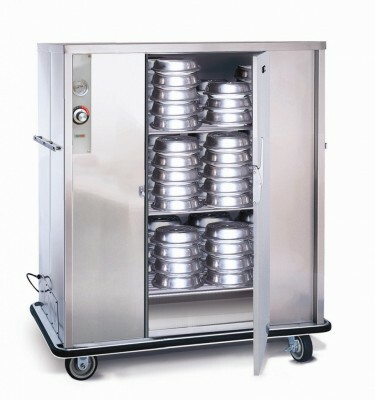 From 40 to 200 meals can be held hot in these durable, all welded, all stainless steel cabinets. User-friendly controls, built-in heat systems, heavy-duty latches, and full bumper protection are just some of the standards features on FWE’s Banquet Cabinets. Inside, triple welded rod-style plate carriers offer serving efficiency and convenience. And for those celebratory toasts and traditional egg nog indulgences, FWE now offers more than 24 different styles of NSF Approved Portable Bars. NSF certification is a distinction that sets FWE apart from all others when it comes to safety. Couple that with durable construction and cost saving Post-Mix Bag-In-Box serving capabilities, and you have a new reason to celebrate! Adding to the mix, FWE also offers 4 different styles of Refrigerators, 2 different Air Screens, and over 50 different Utility Carts to make this Holiday Season as efficient and cost-effective as it can be. Start your one-stop shopping today!